Join @WolvesCivic on Twitter with #RichardHerring-HappyNow? 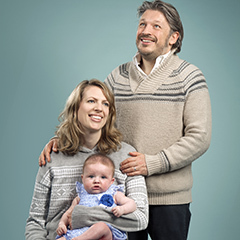 After years of drifting aimlessly and alone, Richard Herring is now settled down with a wife and a tiny baby. Is he finally happy now? Or does responsibility for the lives of others come with its own terrors? In his twelfth solo stand up show, Richard examines whether we are can ever hope to be or are meant to be truly content. If we were never unhappy would happiness have any meaning? Why do our brains force us to envision the worst possible outcomes even on a day when everything seems fine. How likely is it that Richard's baby will be skewered by a stalactite of frozen urine falling from a plane and is it really worth him wasting his time thinking about it? Does being happy mean a comedian loses his edge and true belly laughs only come from depression? How much pressure was there on Happy the dwarf to live up to his name? Is there any system that will guarantee us eternal bliss or should we just embrace the fact that life is a vale of tears and our only option is to laugh in its face?